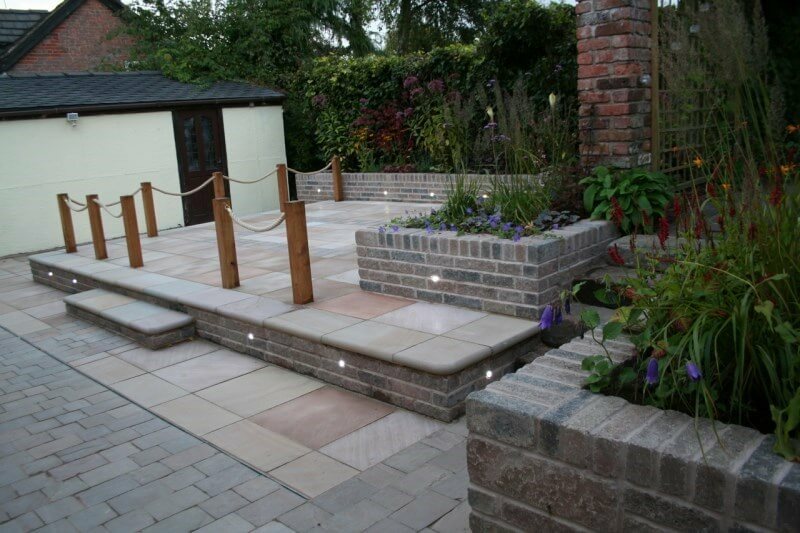 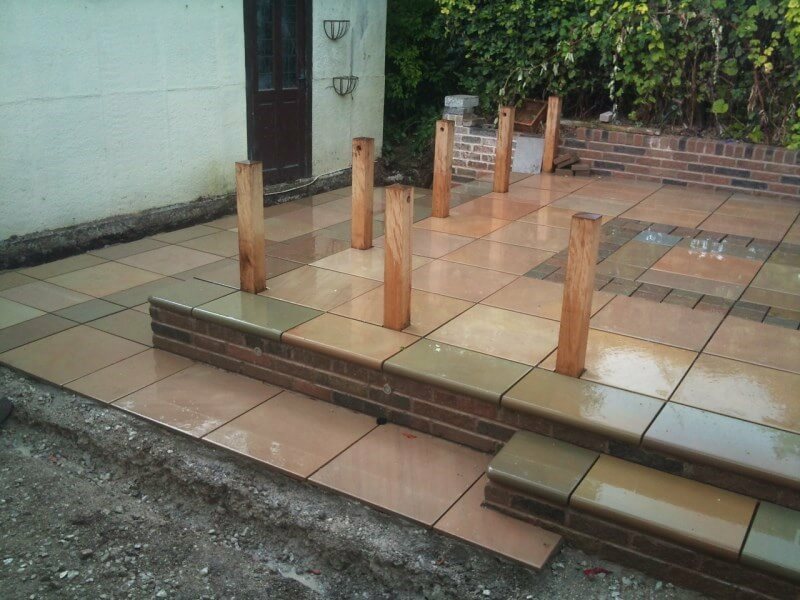 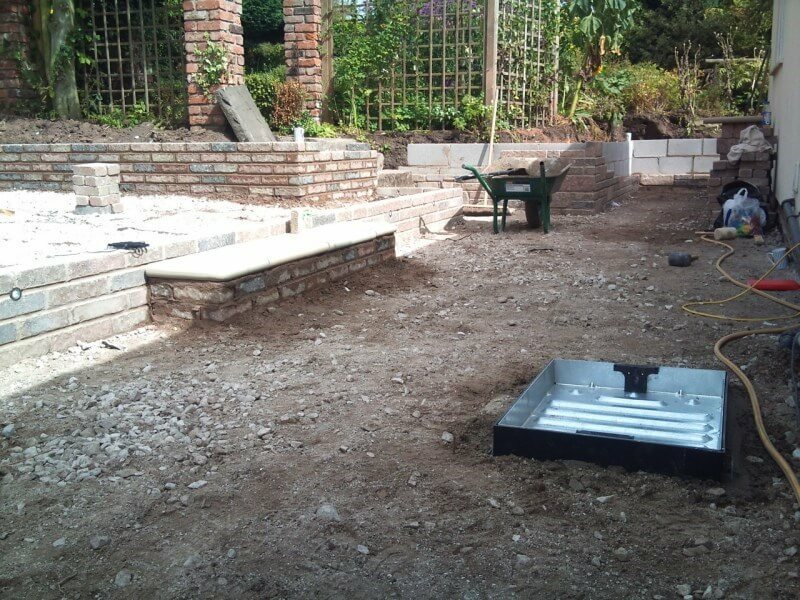 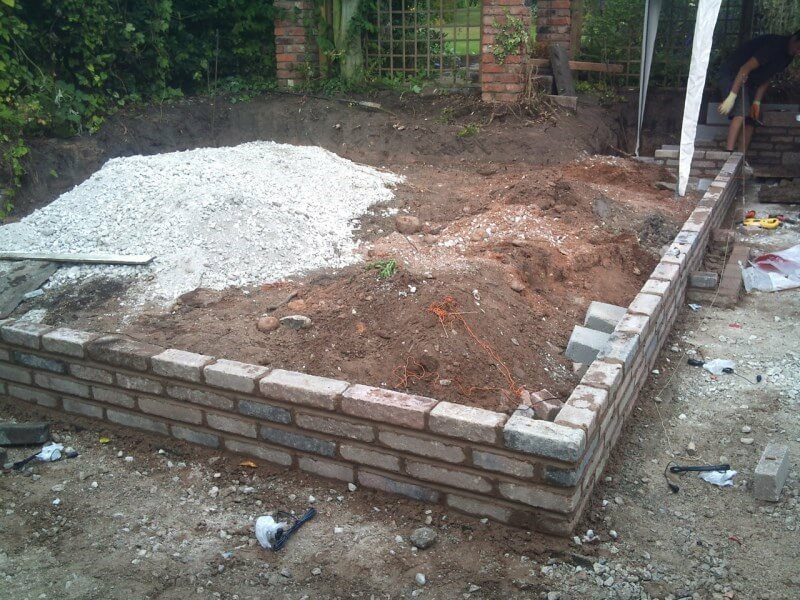 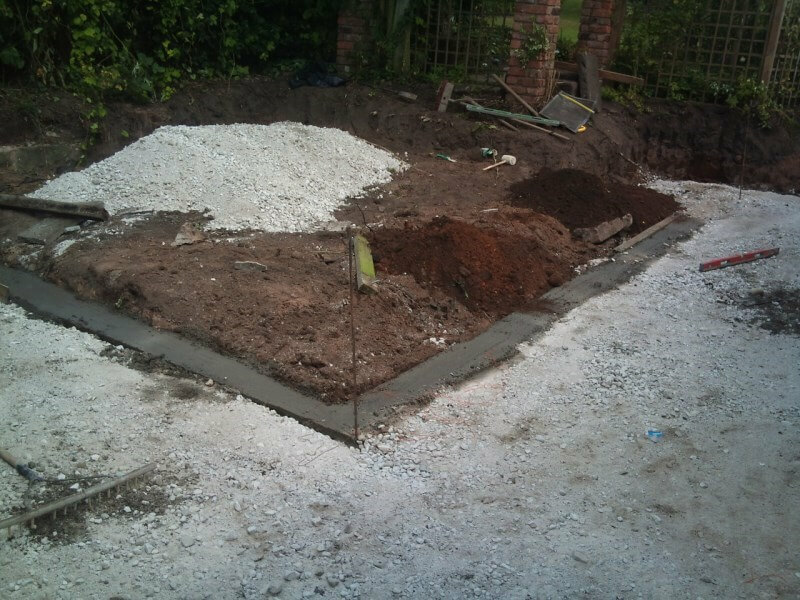 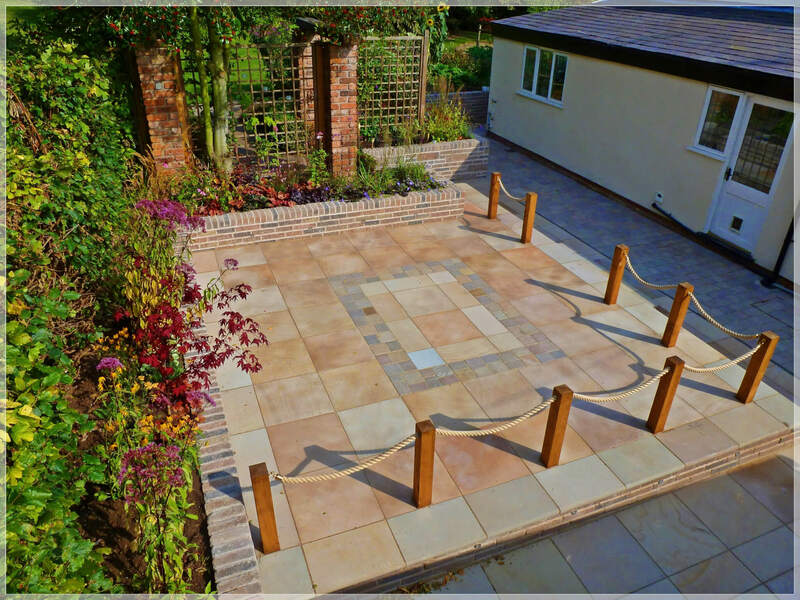 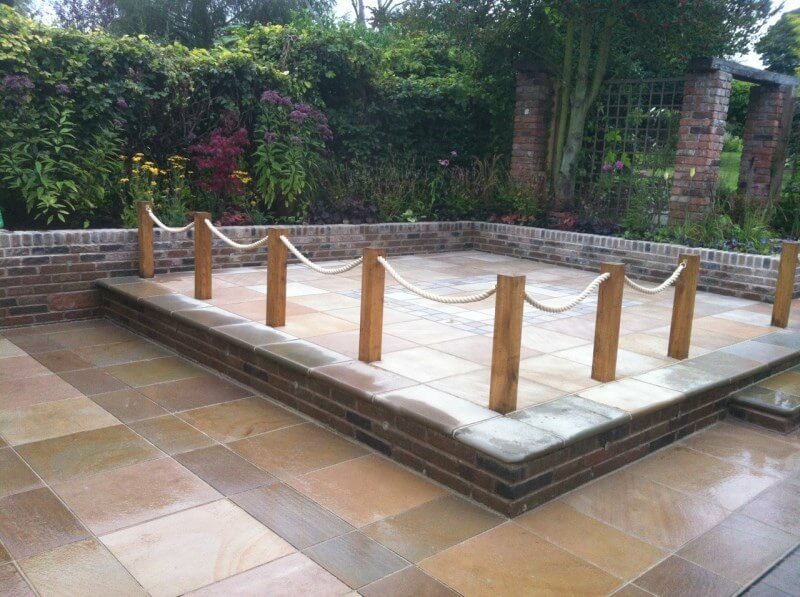 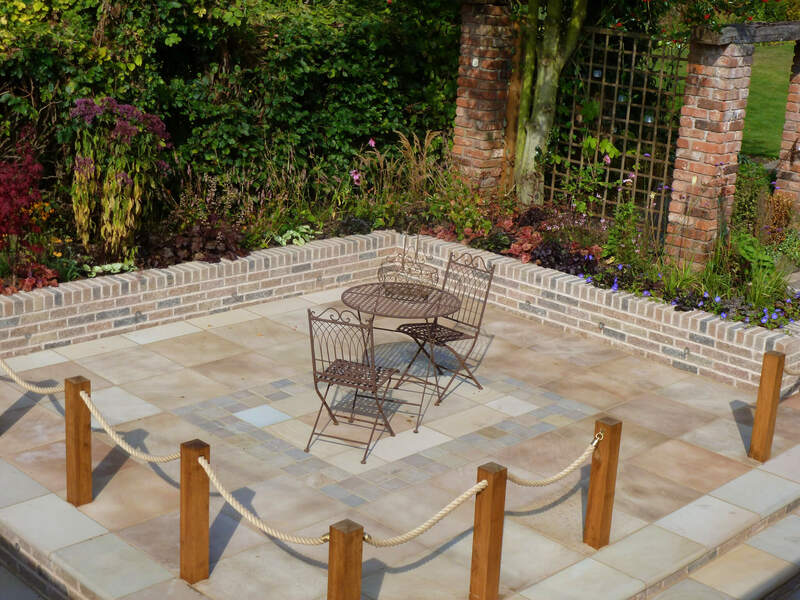 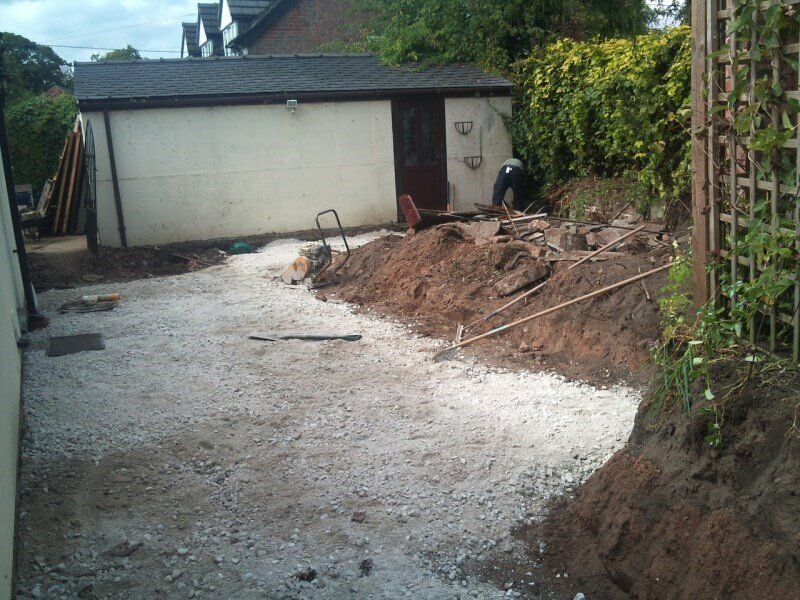 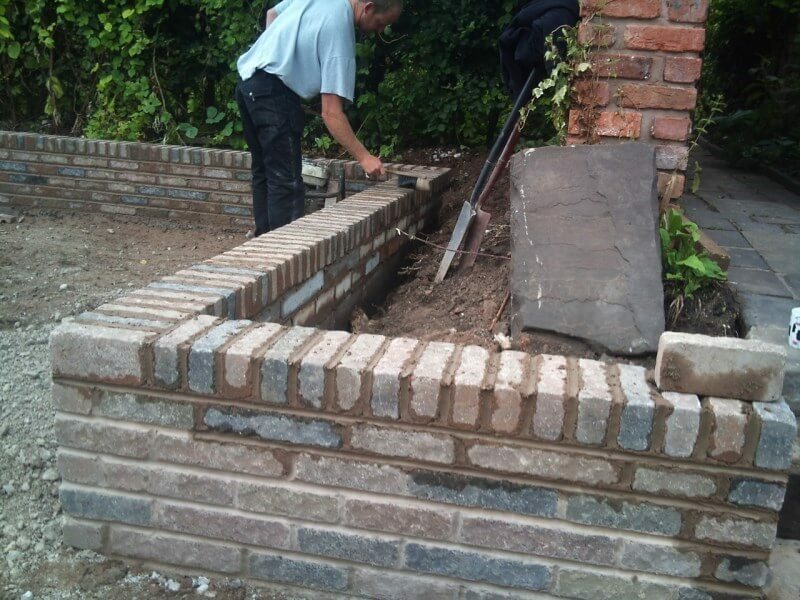 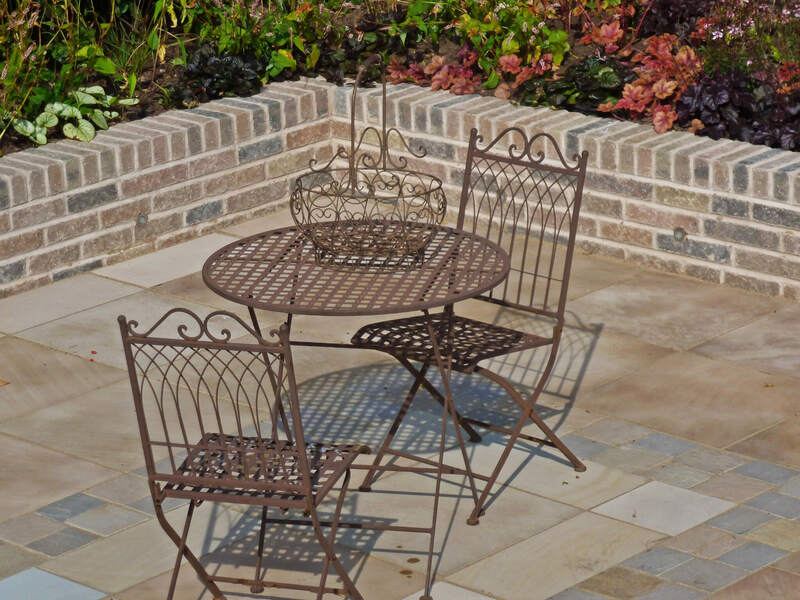 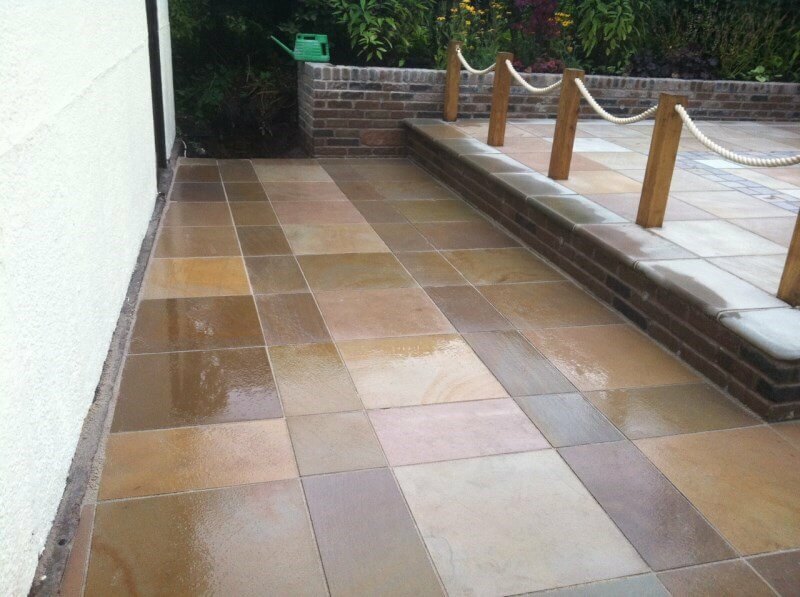 We carried this project out for the owner of a Garden Centre in Cheshire. 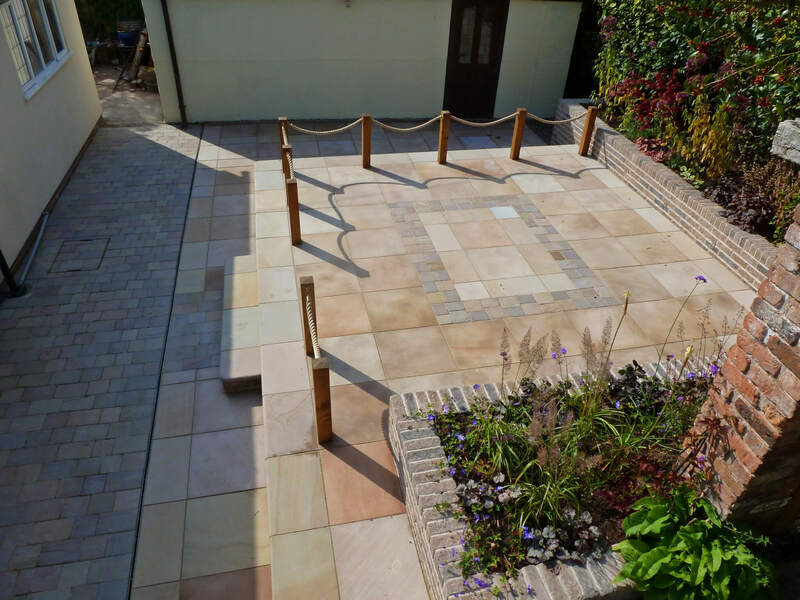 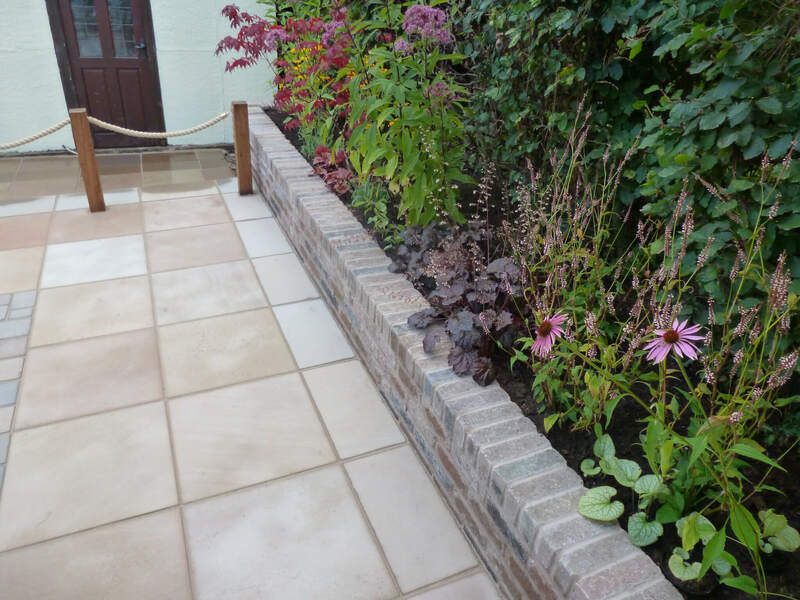 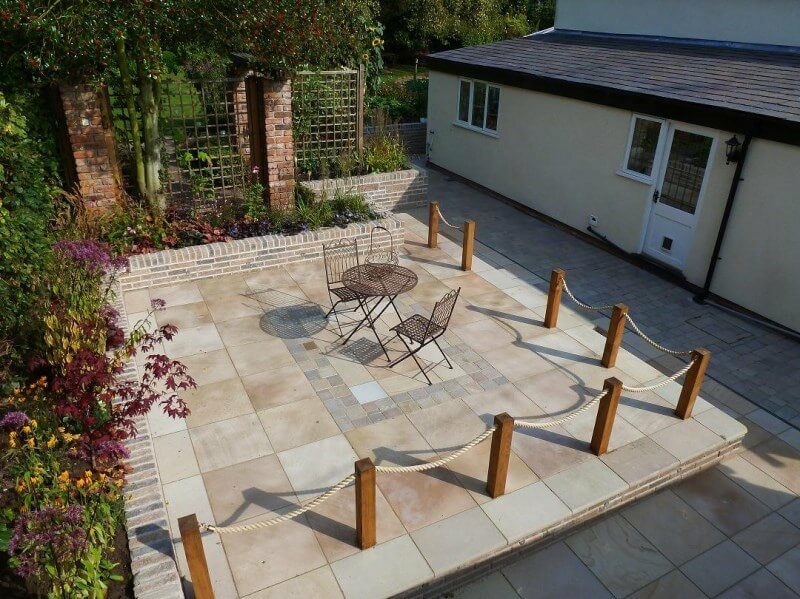 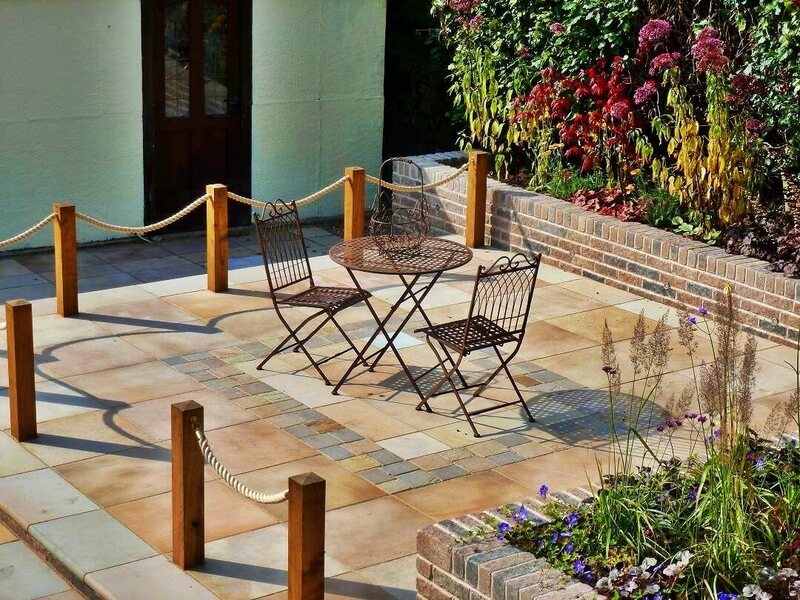 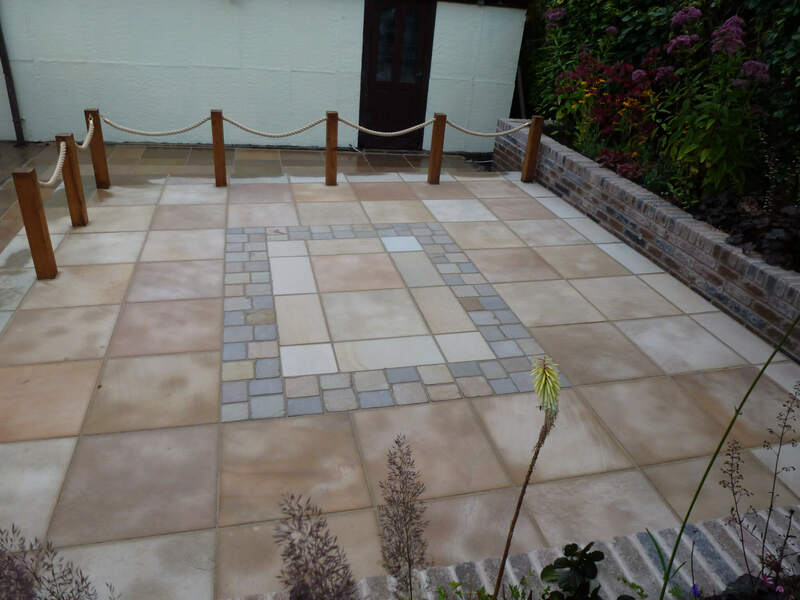 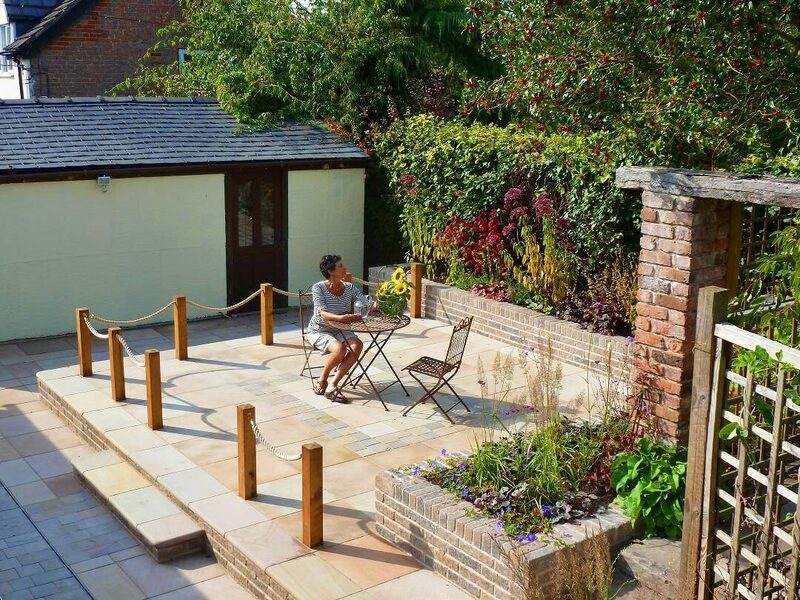 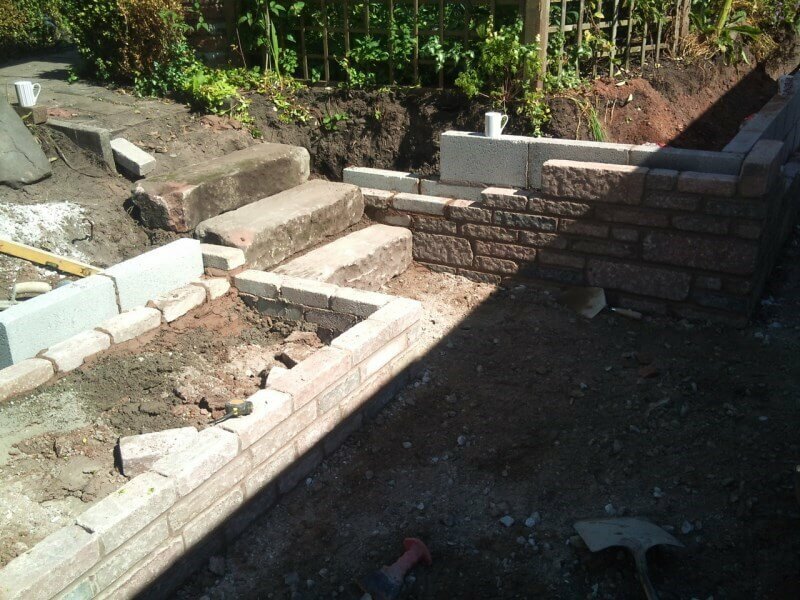 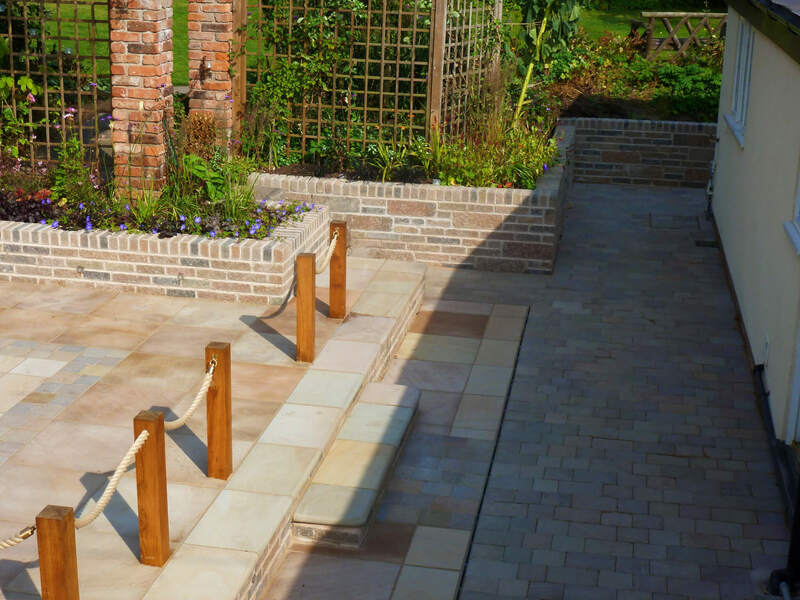 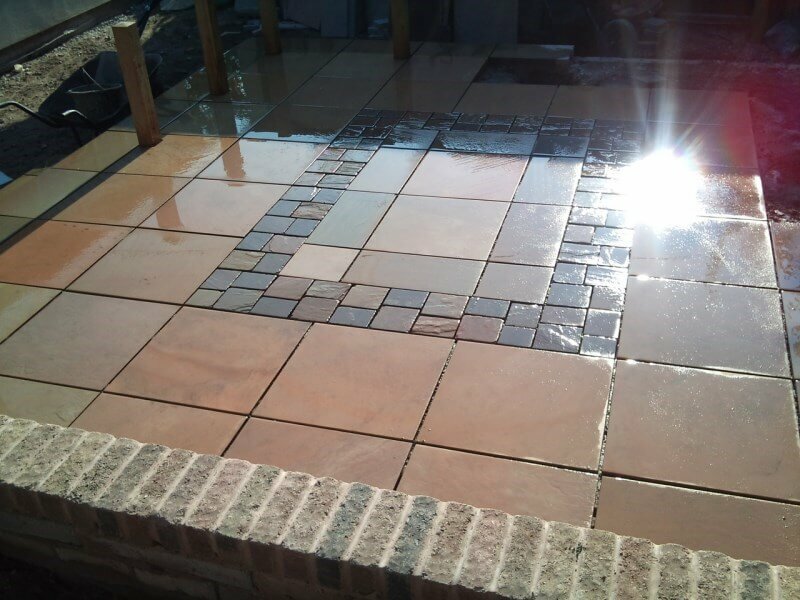 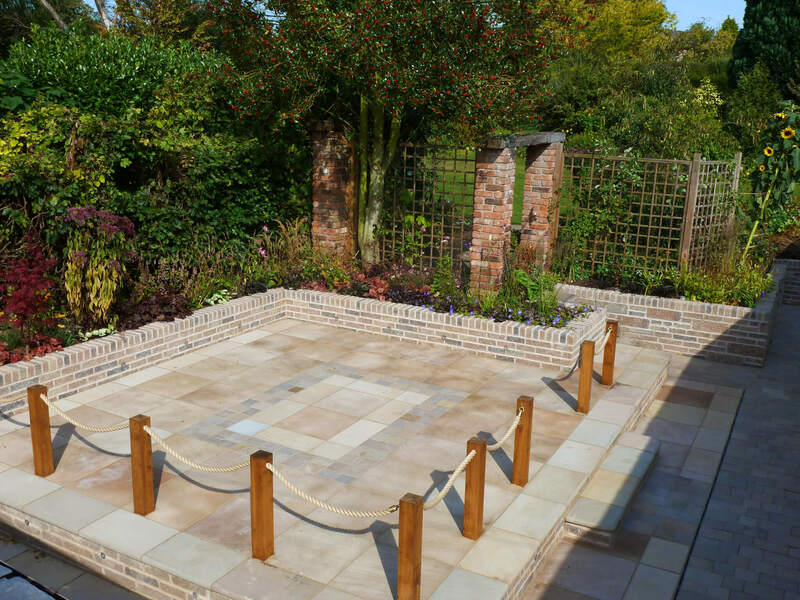 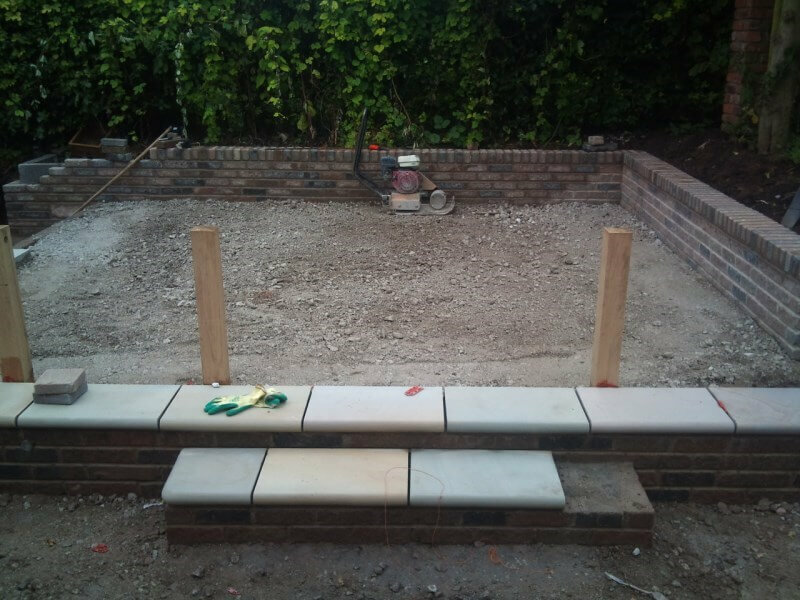 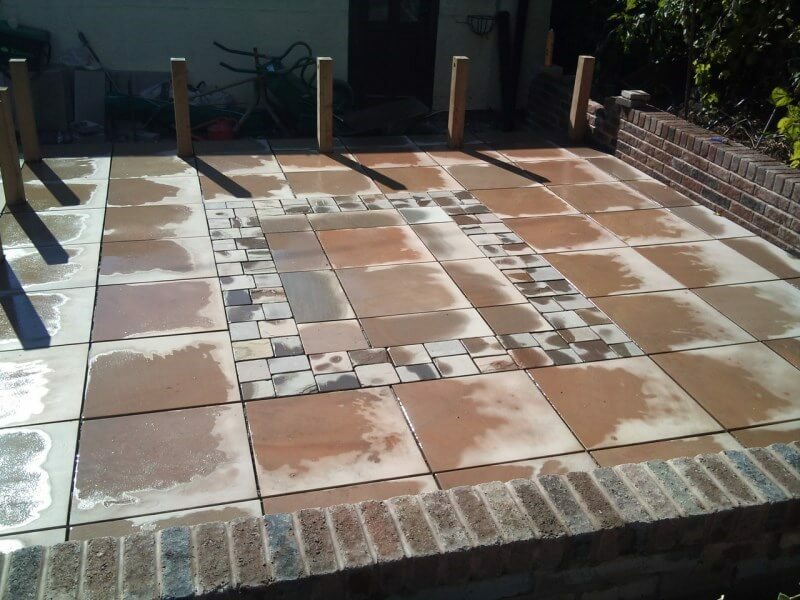 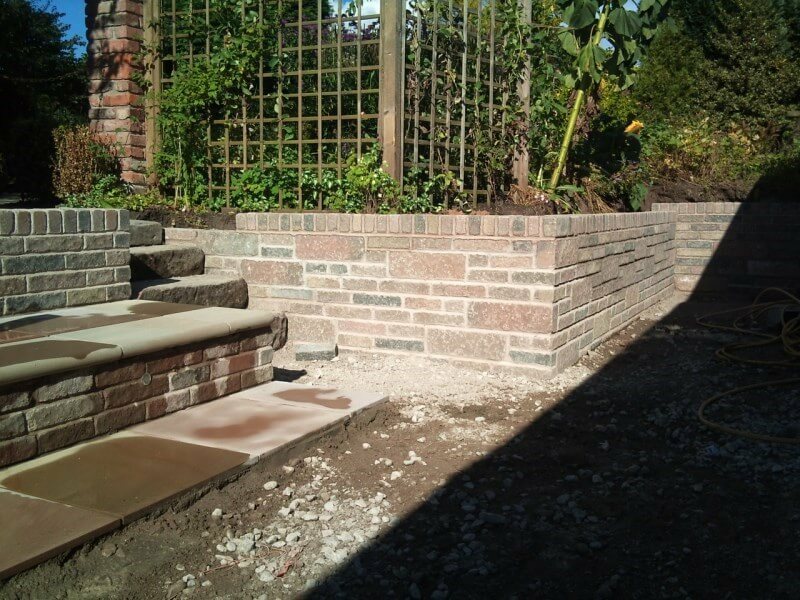 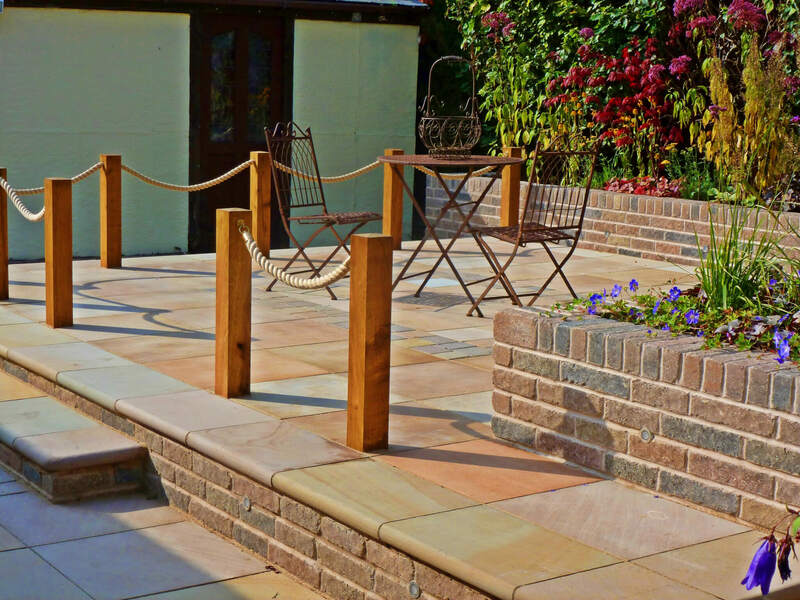 This paving and walling project was to transform the rear garden by creating two patio areas, one raised and retained with Marshalls Tegula decorative walling. 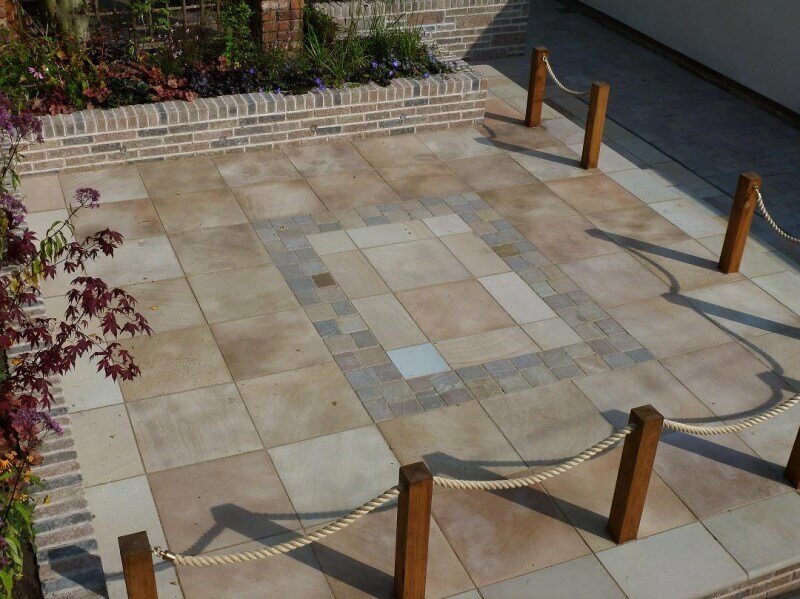 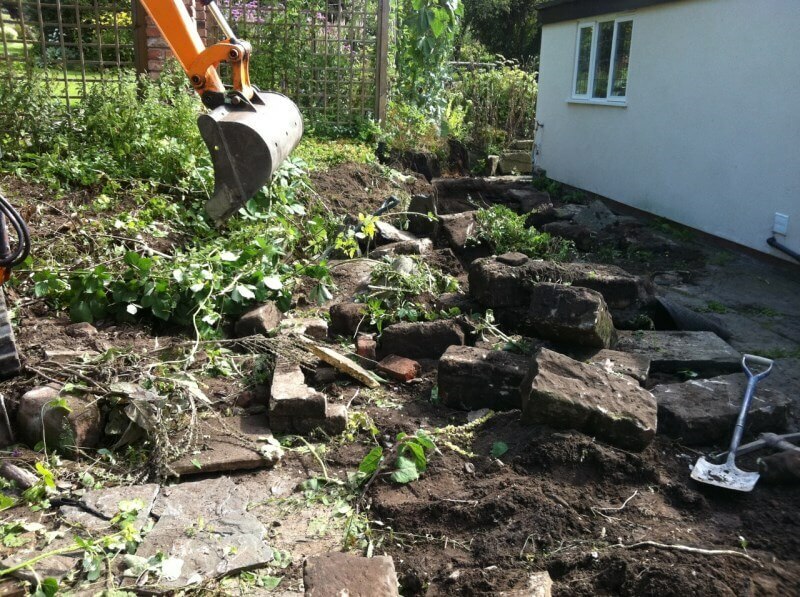 In the other area, we were creating a path out of Marshalls Fairstone Setts and Marshalls Fairstone Sawn paving. 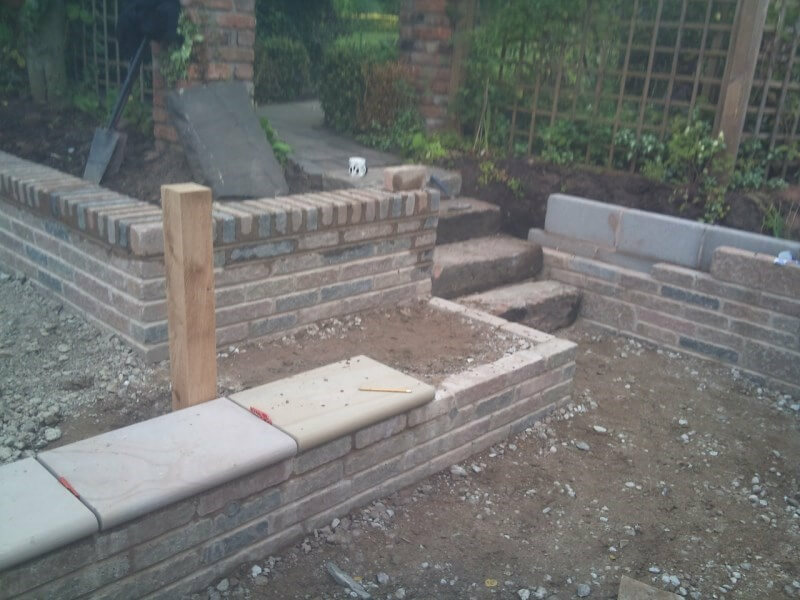 The rest of the project was to construct steps, planters, drainage, recessed manholes and retaining walls.